I’ve been revisiting Campbell’s Pathways to Bliss a lot lately. A passage from the Introduction carries a lot of resonance. It comes at the end of a long description of What Bliss Is. He ties it to a guide for living life — explaining that in our modern times we have two choices for living life, two compasses we can follow — or guides. The first is to look externally and outward for a guide — a personality from our youth who seemed noble and great. If we choose this path we most likely find ourselves often searching for similar figures for direction. The second, and far less traveled path is to live for bliss. In ancient Sanskrit, there’s a saying…sat-cit-ananda. They are one but broken apart they represent the three aspects of “thought.” Being-consciousness-bliss. So what is BLISS? Bliss, described by Campbell, is “that deep sense of being present, of doing what you absolutely must do to be yourself,” it is the, “path to transcendence.” He goes on to add, “your bliss can guide you to that transcendent mystery, because bliss is the welling up of the energy of the transcendent wisdom within you. The story is from the adventures of King Arthur, and it is calledLa Queste del Saint Graal. It takes place in King Arthur’s banquet hall. All of the knights are sitting around the Round Table. Arthur will not let anyone eat until an adventure has occurred. They are waiting for today’s adventure — and it does…The Holy Grail reveals itself to the Knights — not fully or clearly — but covered with a giant, radiant cloth. Then, it withdraws — disappearing and leaving all of the Knights in desperate awe. The Knights then decide something very interesting. They vow to each other that they will not go forth in a group, that doing such would be a disgrace. Instead, a pact is created. From here, each Knight will venture into the forest at the point of his choosing, when it is darkest and a point where there is NO PATH. According to Campbell, the lesson of the story is a way to live life, to follow one’s bliss. 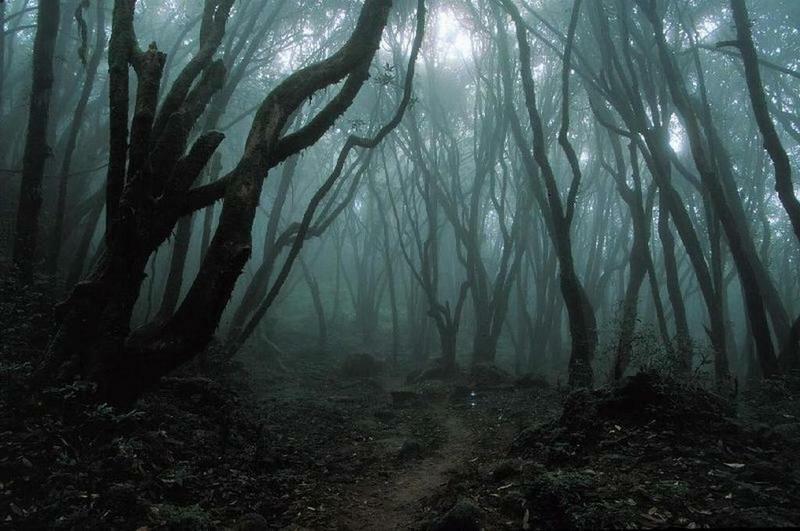 To live blissfully each of us must enter the forest at its darkest point, where there is no path. Where there is a way or a path, it belongs to someone else, it’s theirs and not our own. Each of us is a unique phenomenon — each of us must enter the dark forest on our own, and in it…must find our own pathway to bliss. ~ by Dan Fabrizio on June 14, 2012.